Two key bills, HB 653 and 667, amending Title 68 (Real and Personal Property) of the Pennsylvania Consolidated Statutes were recently signed into law by Gov. Tom Wolf. The bills are aimed at combating urban blight and expediting foreclosure processes for vacant and abandoned properties. “These bills are important to help local communities more swiftly address blight and I commend the bipartisan Blight Task Force for its continued dedication to this important cause," Wolf said after signing these bills. Both these bills are an important piece of legislation and make Pennsylvania the third state after Ohio and Maryland to implement fast-track foreclosure laws, something the industry has been asking the government to implement for a long time. HB 653 provides for an accelerated foreclosure process for vacant and abandoned property. The current foreclosure process in Pennsylvania can take anywhere from 300 to 540 days. The new legislation aims to reduce this timeframe by 240 days by providing "a process to have a property certified as vacant and abandoned, either by a municipal code officer or through judicial certification, before an expedited foreclosure may commence." The legislation also specifies the process a lender must follow when using expedited foreclosure on these properties. In an interview with DS News in November 2017, the late Robert Klein, Founder, and Chairman of Community Blight Solutions and Safeguard Properties had said that a house became a liability once it was abandoned. “Fast-tracking enables the mortgage servicer to get possession of the property before it deteriorates. This directly leads to on-time conveyance and faster rehab and sale,” said Klein, who had championed the cause of fighting urban blight in Pennsylvania. HB 667, which was introduced in the House by Sen. Patrick J. Stefano grants redevelopment authorities with the same powers currently allotted to land banks through the Pennsylvania Land Bank Act. "This proposal will in no way eliminate the ability of a community to create a land bank or affect existing land banks in any way," the bill states. "The Bicameral Urban Blight Task Force has worked for many years to see these urban blight bills become law in Pennsylvania," said Gene G. Veno, President of Gene G. Veno & Associates. "I was honored to represent Robert Klein, who advocated for passage of urban blight laws to help communities with the growing problems blight was causing in Pennsylvania and communities nationwide. Klein would have been so pleased to see both Pennsylvania Urban Blight Bills enacted. His passion and advocacy made a difference, not only in Pennsylvania but in state houses all across America." Rick Sharga, EVP, Carrington Mortgage Holdings, told DS News, "Vacant and abandoned properties—so-called 'zombie foreclosures'—have become an unfortunate byproduct of well-intended regulatory and legislative actions that have extended foreclosure proceedings in judicial states to several hundred or even over 1,000 days. This new Pennsylvania law will help lenders and servicers prevent blight or expedite the restoration of deteriorated properties, getting them back in condition to sell or rent, and eliminating the safety hazard that these vacant properties often represent. Accelerating foreclosure proceedings on vacant and abandoned properties is a win for all parties involved: neighborhoods, communities, and local governments, in addition to lenders and servicers." "This new bipartisan legislation is a significant improvement to the fight against blight, as well as serving to eliminate the accompanying delayed and costly foreclosure process that came with vacant or abandoned properties," said Stephen Hladik, Partner at Hladik, Onorato, and Federman. "Cities throughout the Commonwealth carried a significant cost—as well as a budgetary depletion—in having to maintain vacant properties. 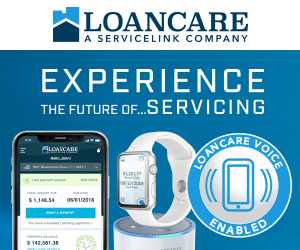 The new procedures put in place by this law gives servicers and lenders the opportunities to fast-track foreclosures of vacant properties, and quicken the pace lenders can restore these homes to the tax producing rolls." 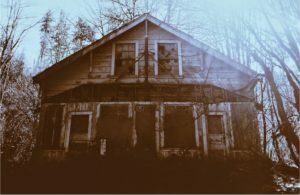 To learn more about how these laws help combat the problem of urban blight and zombie homes, as well as insights and best practices from experts, register for our complimentary webinar on "Zombie Homes—Challenges and Guidance," presented by Altisource on Thursday, June 21, at 2 p.m. CT.